So I’m currently planning my wedding, so it’s only apt that I talk about one of the mini projects that I’ve been working on. It involves a little Bluetooth printer, and difficulties in printing from iOS devices. SmithLink, advanced telemetry from Smith Electric Vehicles – YouTube. How well do you know your SI units? 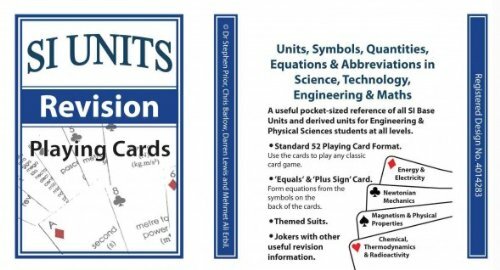 Low-tech ‘gamification’ of SI unit revision with this clever deck of playing cards. The International System of Units (abbreviated to SI from the French Système International d’Unités) is the modern form of the metric system and is a system of units of measurement devised around seven base units and the base 10 mathematics. It is the world’s most widely used system of measurement, both in everyday commerce and in science, technology, Engineering and Maths. The system has been nearly globally adopted. Three principal exceptions are Burma (Myanmar), Liberia, and the United States. The United Kingdom has officially adopted the International System of Units but not with the intention of replacing customary measures entirely. Previously, I have talked about high-precision, multi-task execution on an arduino / AVR based microcontroller.